Here’s an unboxing of the highly-anticipated Kodak PIXPRO Orbit360 (formerly called the 4KVR360)! The Orbit360 is one of my most anticipated 360 cameras for 2017. 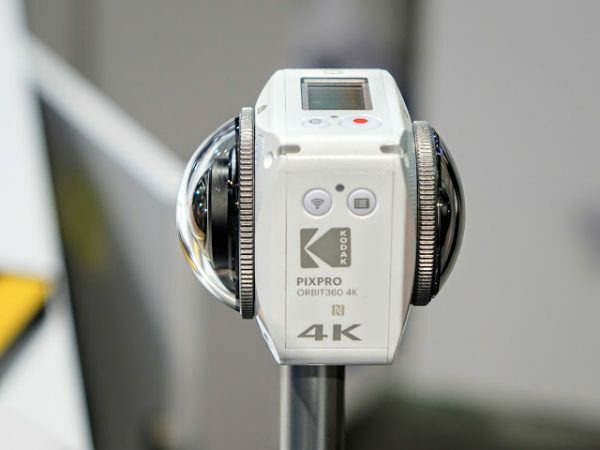 I have high hopes for it because I’ve used the Kodak SP360 4K Dual Pro and found it to have the best video quality among last year’s consumer 360 cameras. The problem with the Dual Pro is that it’s a hassle to use it, because it is actually a rig (so you’ll need to manage two batteries, two memory cards, two sets of files, two cameras with two chances of failure, etc.). I’m hoping the Orbit360 has the image quality of the SP360 4K Dual Pro, but with the convenience of an all-in-one camera (genlocked, just one battery, one memory, one file, etc.). On paper, the Orbit360 looks very promising. And last month, I found photo samples from the Orbit360 that look quite impressive. This is one of the reasons why I said that despite some delays, the Orbit360 is worth waiting for. A few days ago, a photo of the retail package showed up on Kodak’s Instagram page, which also mentioned an unboxing video. Here it is!